Dejan Lovren has earned the plaudits coming his way with his outstanding form for club and country, according to Jürgen Klopp. The Liverpool centre-back is one game away from becoming a World Cup winner, having helped Croatia overcome England on Wednesday night to set up a decider against France in Moscow this weekend. 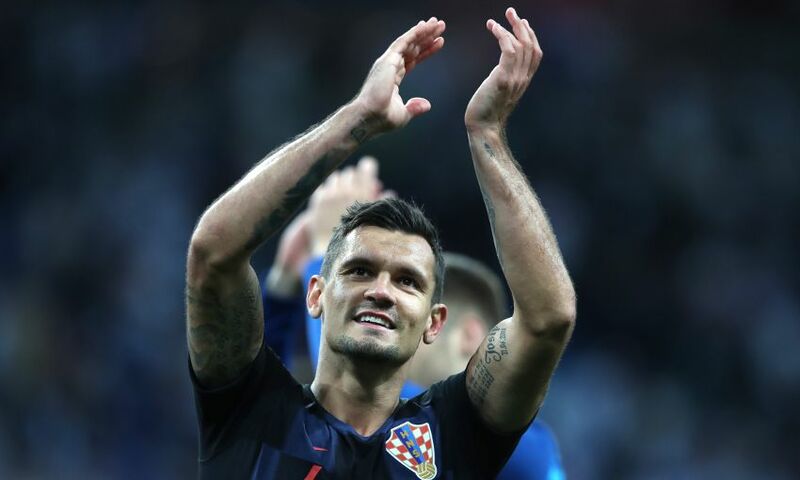 Lovren was an integral contributor for the Reds as they reached the Champions League final in May, meaning the 29-year-old will have played in two of the biggest fixtures in world football within two months. Klopp feels the positive arc of the defender’s past season is just reward for a player he believes can still improve further, too. “People very often judge other people pretty early. I don’t know exactly what happened before I came in,” the manager told Liverpoolfc.com. “Since I came in, maybe Dejan made three or four mistakes, two of them in the Tottenham game, maybe one in a Champions League game last year. But it’s for sure not 15 or 20. “90 per cent of the time he played outstanding, 95 per cent absolutely OK, and five per cent probably he was not at his best. But you will find these problems for pretty much all the players in the world. “I’m completely happy. I’m happy that he used the little advice we gave him in the last few years in a very good way. He can still improve, 100 per cent. The semi-final clash between England and Croatia was a tough watch for Klopp given his affiliation with current and former players on both sides. His disappointment for Trent Alexander-Arnold, Jordan Henderson and fans of the country he calls home at the moment sat alongside satisfaction in seeing Lovren reach the pinnacle of the international game. “It was a really strange feeling. I live in England and have two players in the England team, so I was a little bit more for England,” he said. “It was a very intense game, how a semi-final should be. Both teams played better football in the tournament but it was the second-to-last game of a very long season for all the players. “It was a sign again how a game can change in one second. England controlled the game more or less, Croatia looked exhausted in that part of the game – and then they scored a goal and got a real push. “I can imagine everybody is disappointed but it was still a fantastic tournament with one game to come. Third or fourth at the World Cup, with all the teams that were not there like Italy and Holland, that were out early like Germany, Brazil and Argentina – it’s a big tournament with a lot of really good teams. With a very young team they did a brilliant job. “Of course I’m delighted for Dejan. The country is small but all the players are pretty big. It’s impressive what they are doing. They are a strong team, their players play all over the world. It’s good to see.